It's been a busy summer for construction in Dawson City, Yukon — which means it's also been busy for the territory's archeologists. The latest historical find was unearthed last week, as crews were building a new recreational trail. 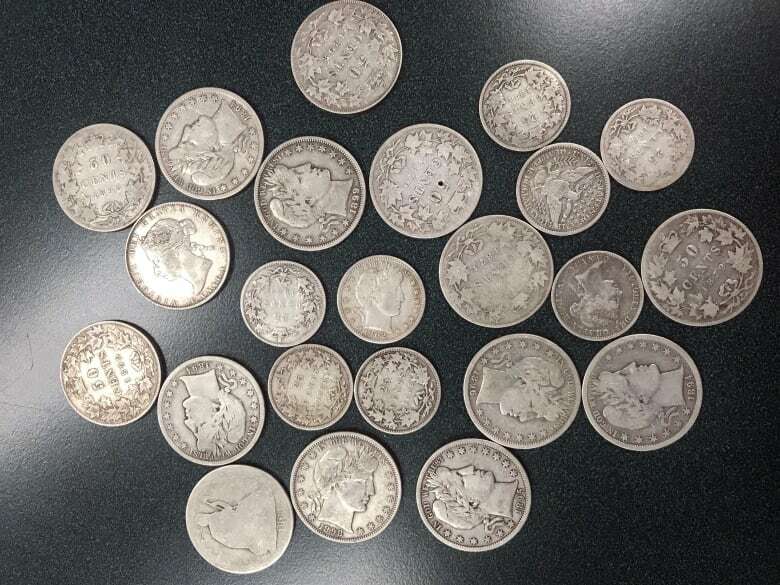 The workers stumbled upon a stack of 23 old Canadian and American coins, buried about 30 centimetres below ground. They're all from the 19th century, and the oldest is dated 1864. "These are coins that would have been in common circulation during the [Klondike] Gold Rush," said Christian Thomas, special projects archeologist from the Yukon government. 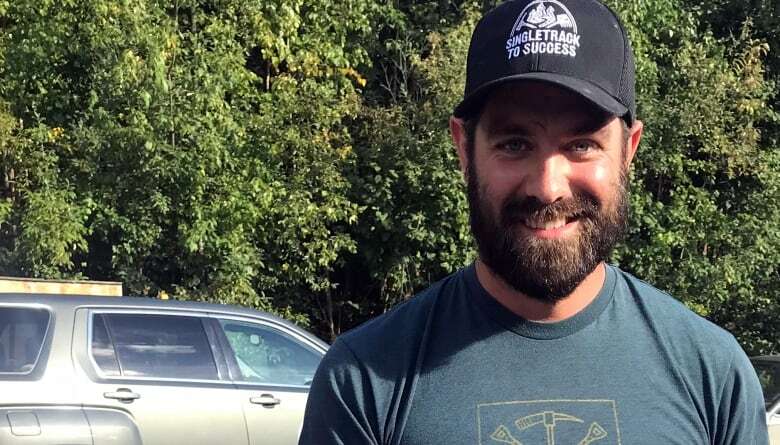 "You don't find money usually, abandoned at some of these historic sites… people usually kept their money with them and wouldn't abandon those kind of valuable objects," he said. It's no treasure trove, though. The coins have a face value of about $9.50, which Thomas said would not have gone far in gold rush-era Dawson City, when a pound of butter was selling for about $5. "They probably would have been worth more in Seattle," Thomas said. "You have to think that the person was intending to come back, or maybe just forgot that they'd cached their coins somewhere." Thomas said the coins would be worth about $240 today, adjusted for inflation. 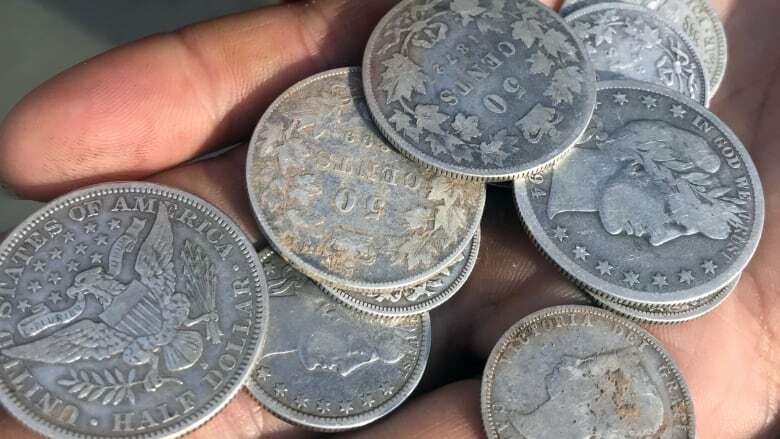 The coins were found just weeks after an old safe was also unearthed in Dawson City, a town of about 1,300 people near the border with Alaska, some 430 kilometres northwest of Whitehorse. It contained equipment for measuring gold, and even had some gold flakes inside. Yukoner Derek Crowe, who was part of the trail-building crew that found the coins, said he doesn't care much what the coins are worth. He just loves the mystery behind them. "The questions we're all asking is, 'Who was this person? Why did they leave it? What happened to them?'" Crowe said. "The real treasure would be if the experts at Yukon Historic Sites and archeology are able to answer some of those questions. That would be just such a wonderful and colourful story to add to this really neat trail." But that information could be hard, if not impossible, to dig up, said Thomas. The coins were found in a part of Dawson once called the Menzies Addition. Thomas said during the boom years of the gold rush, it was part of the sprawling downtown. Today, the buildings are gone. "The [Menzies Addition] residents were often day labourers, miners, service industry folks, and they were quite transient," Thomas said. In other words, there are no property sales records to provide names. The owner may have come and gone from Dawson after one unlucky season. "A lot of the tax records show that a lot of these properties were foreclosed on, so people would stay, they might go visit family, intending to come back [to Dawson], but just never made it back because they didn't make their big gold strike," Thomas said. The coins are now in the Dawson City town safe. Thomas said they may eventually go to the Dawson City Museum, but that hasn't been decided yet.